The smallest touches can make the biggest difference. 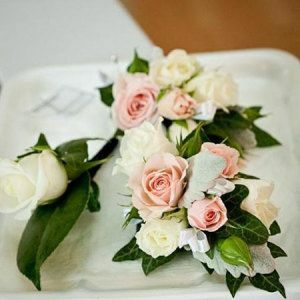 Our stylish wedding buttonholes and corsages online provide the bride and groom with a visual selection to choose from at the click of a button. 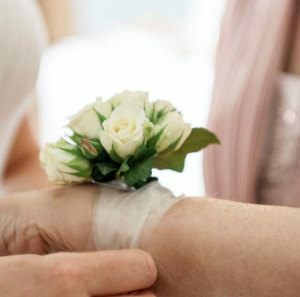 Select buttonholes for the groom and groomsmen, plus dress and wrist corsages for the mothers of the bride and groom, in a variety of styles and colours based around season availability. Alternatively our professional wedding florists can provide suggestions and customised designs to match the rest of your unique floral theme, simple! Brides in Bloom`s studio is based in Sydney`s Olympic Park, Homebush Bay. We are open for free bridal consultations by appointment only. Please give us a call on (02) 8746 0800 or email us at enquiries@bridesinbloom.com.au to arrange a convenient time to discuss your special wedding day.